The Crow and the Powderpuff | A Creative Makeup & Beauty Blog: Ulta unplanned stop... Purminerals. So today while I was checking my e-mail via my mobile phone I got an e-mail from Ulta... something about free samples but I decided to read it anyway. 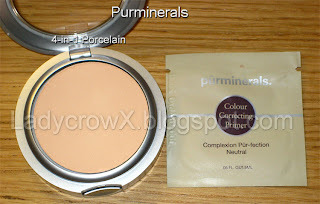 The thing that caught my eye was the current buy one get one free on the 4-1 purminerals pressed foundation. I am extremely low on this stuff as I like to use it for pretty much everything (brow highlighter, foundation for quick tutorials, ect.). It wears well, it covers well for being extremely light feeling and I can build it up as much as I want to. Anyway I ended up grabbing 2 of them in Porcelain for the low low price of $26 which is pretty freakin awesome. 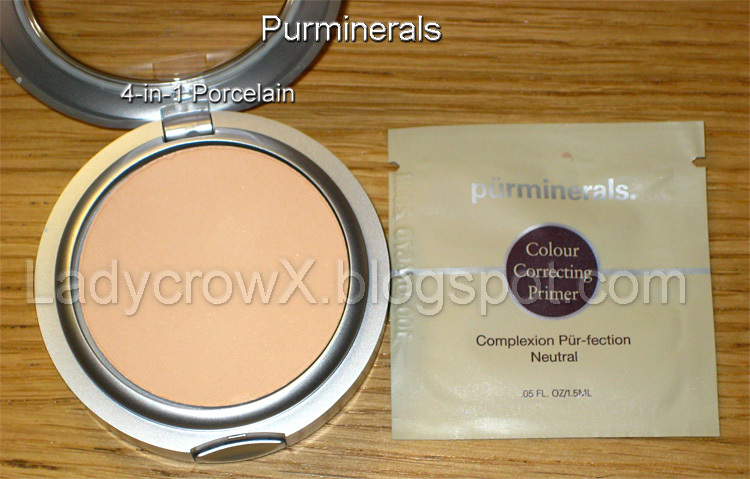 They also included in them a sample of the Neutral Primer, I'm all for trying stuff. 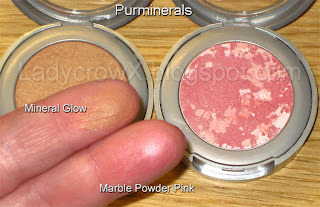 Since I hadn't posted the first time I bought some purminerals I got these with the starter kit. 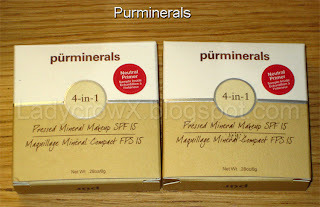 Purminerals is the only mineral makeup I've ever purchased a full size of, due to the fact that it's probably the fairest of the non-indie shades. 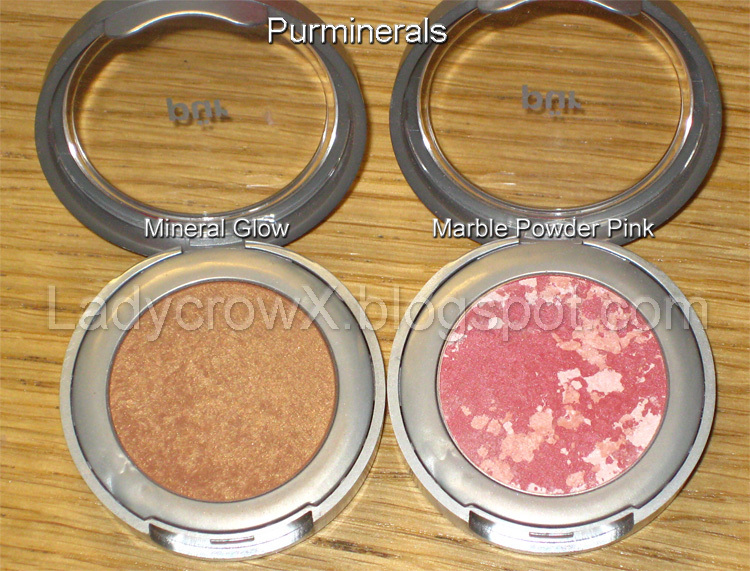 I liked it OK, but I'm not sold on MMU (I have dry skin & need good coverage, for me, powder just can't give me what I need). I would, however, caution anyone against buying the Pur Minerals Chisel brush. It's not a cheaply priced brush- I paid over $20 for mine at Ulta. It's very scratchy and after a few months of use, the center of what is supposed to be a flat top had sunken, making it impossible to get even coverage. But since it actually hurt to use it on my face, that was no big loss. 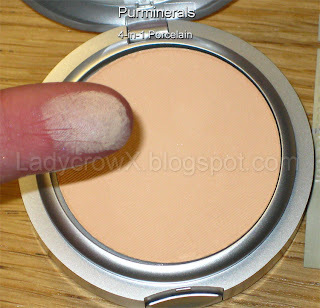 FYI, I'm a pro MUA and wash my brushes gently & carefully- I have brushes that are 15 years old and are perfect- from the ferrule up anyway :) so I know it was of no fault of my own- just a bad brush! Just thought I'd share. 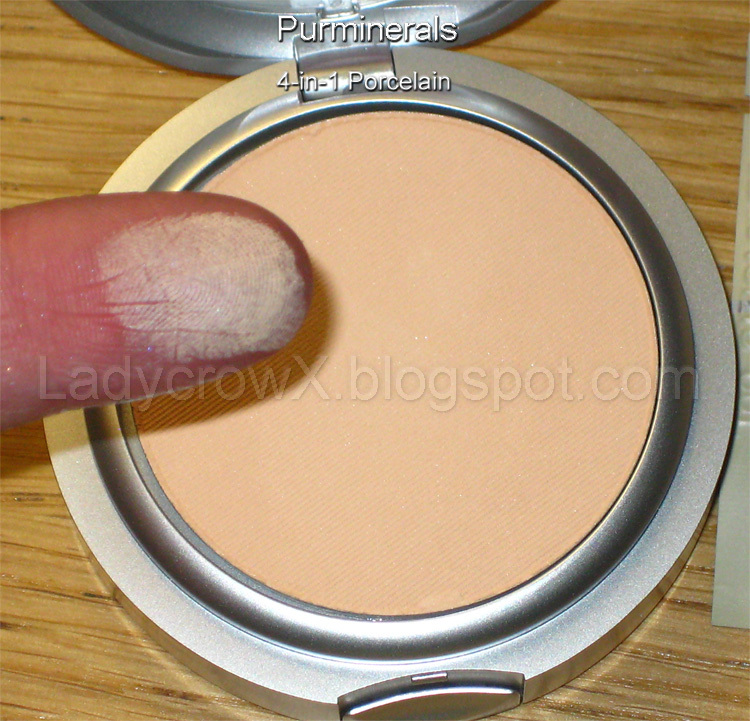 @Jessica I have dry skin too but this doesn't seem to bother it much, I just build it up then spritz a little MAC Fix+ and it takes away the powder look really nicely! I agree on the brush, I got one free with the starter kit and it is very scratchy! I would never have bought it on it's own.